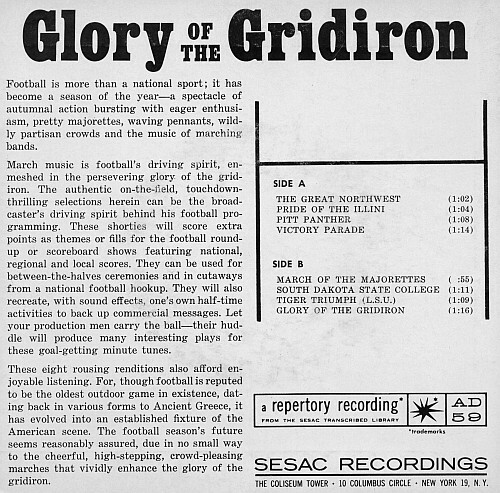 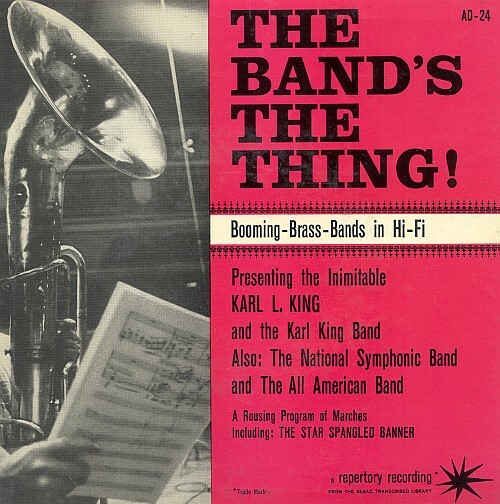 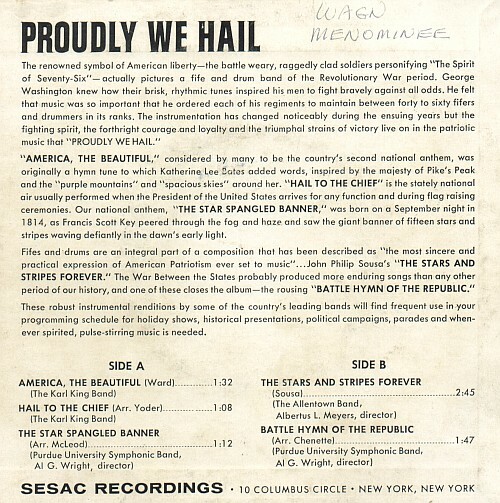 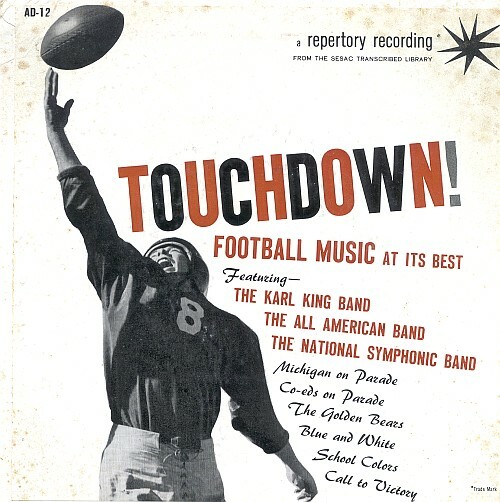 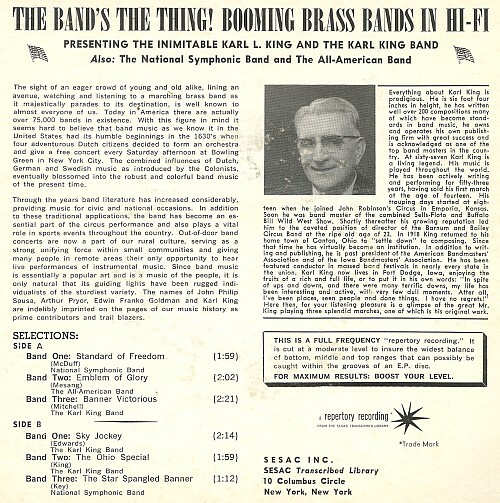 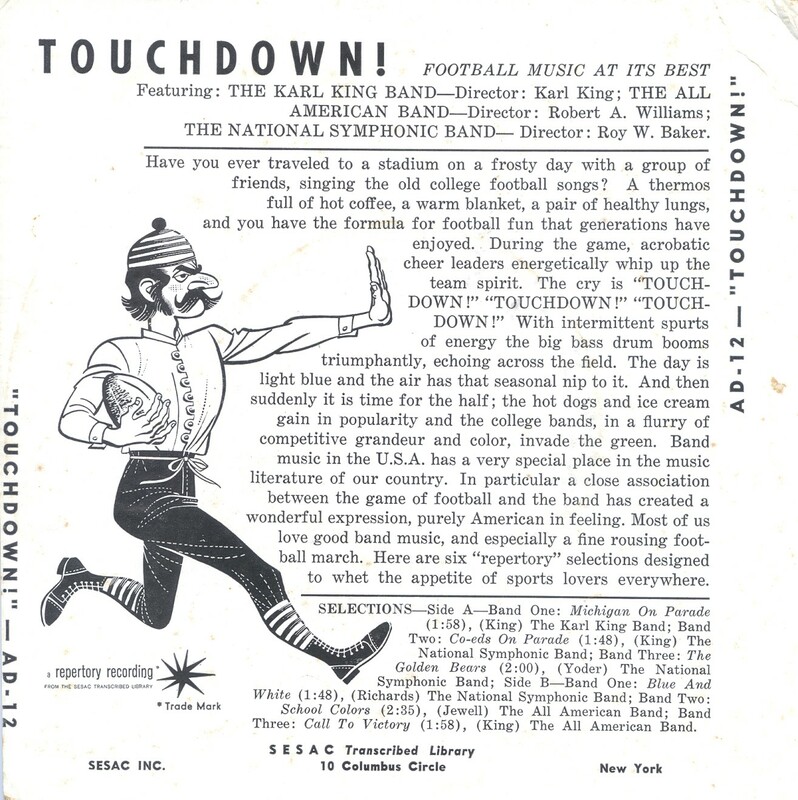 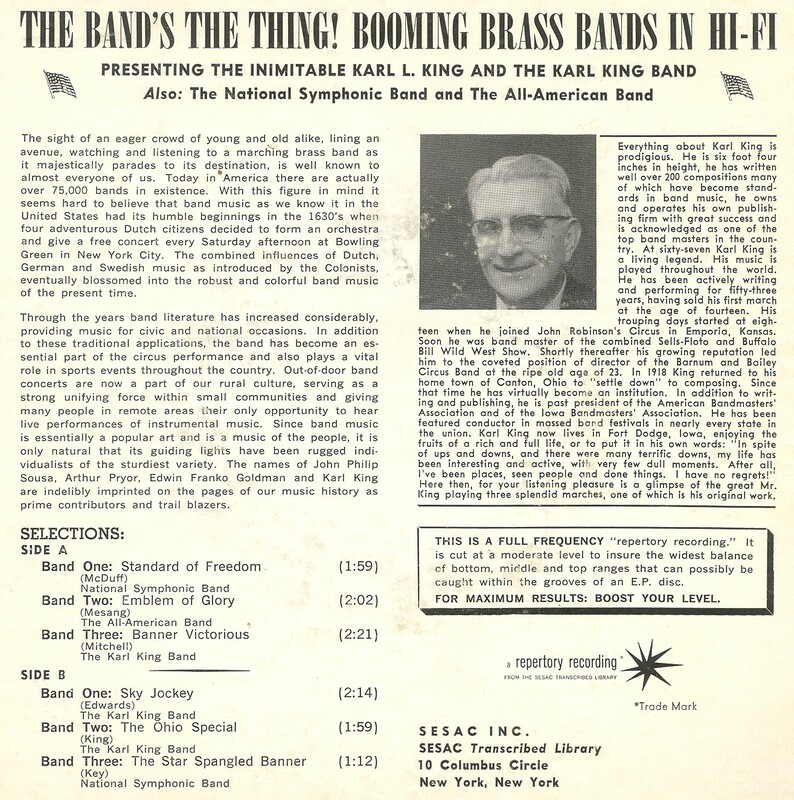 In 1958 SESAC invited Karl King to New York City to make several promotional recordings of marches for distribution to radio stations. 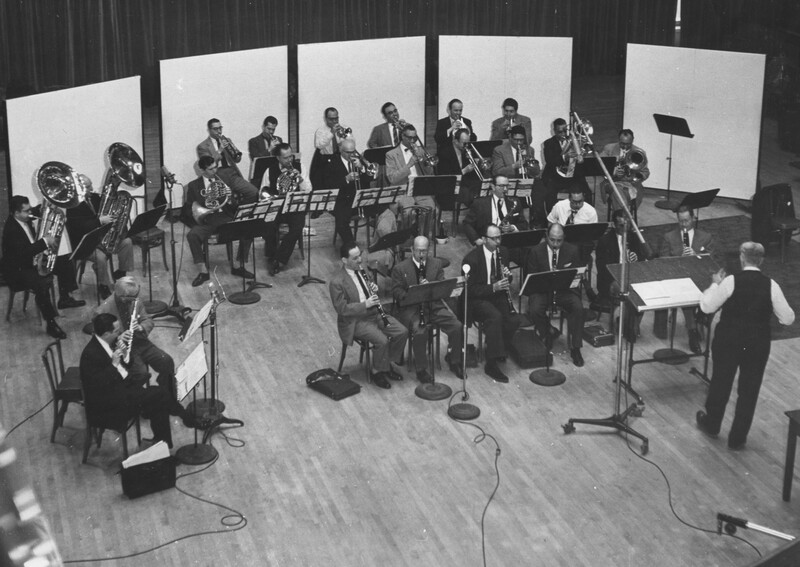 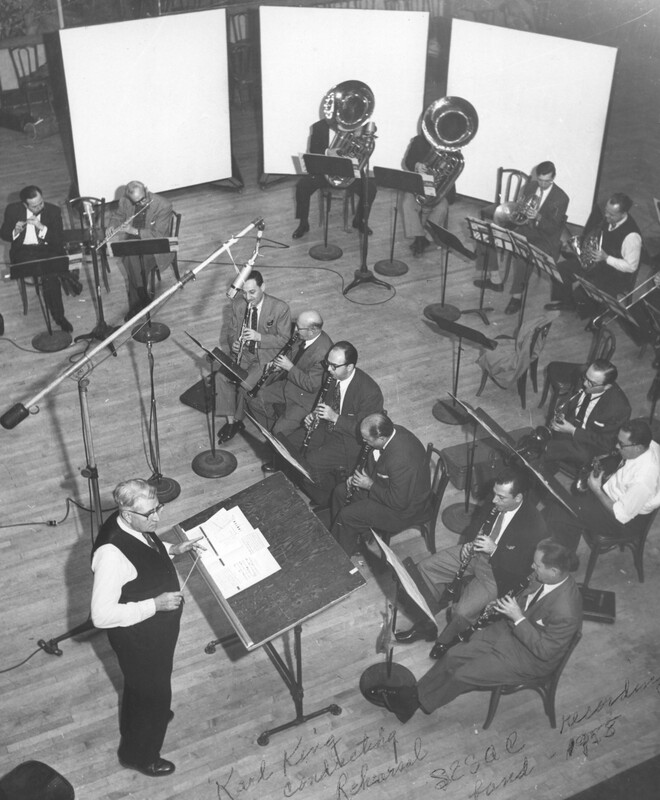 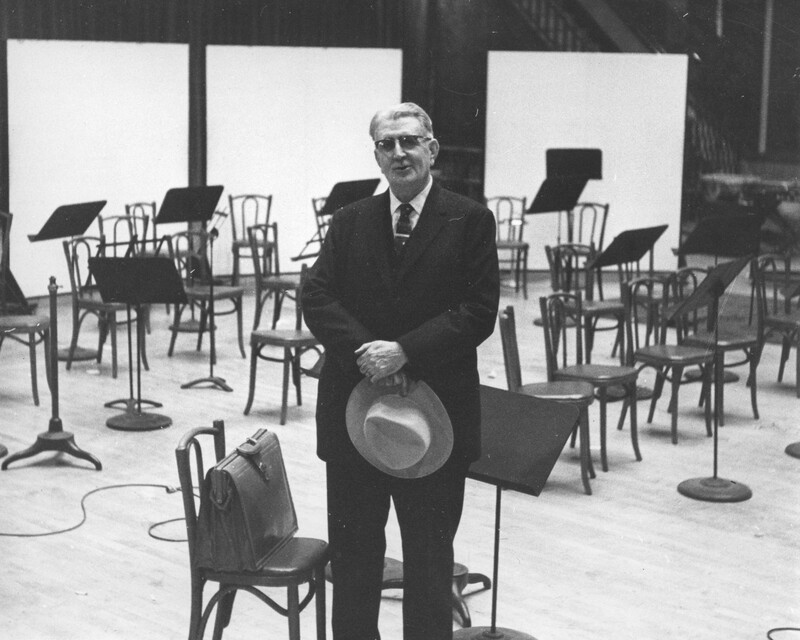 A band of professional musicians from the New York area was gathered for this recording session. In the photo above, tubist Harvey Phillips is seen at the left side, and cornetist James Burke is seen sixth from the left in the back row. 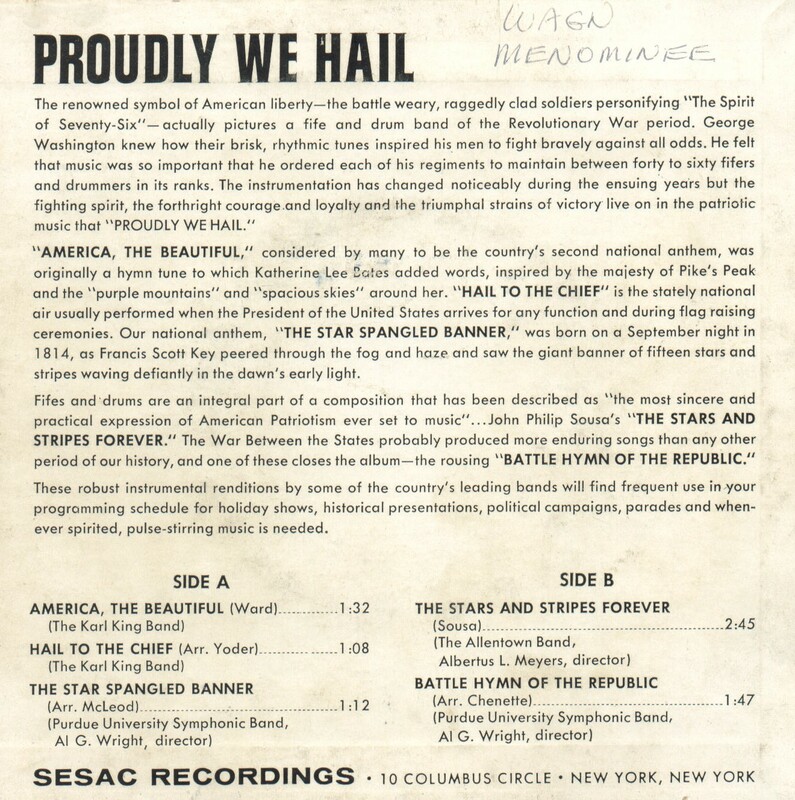 Extended play SESAC AD-24 promotional record The Band's The Thing!